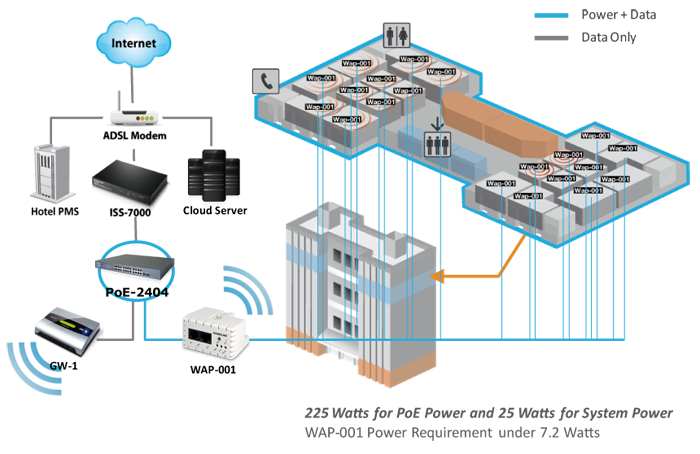 The PoE-2404 is designed as 24 + 2 Gigabit L2 Managed Power over Ethernet Switch for Hotel/MDU system integrator to provide guests and roomers hotel Internet access in their hotel room, guestroom and lobby. It implements 24 + 2 Gigabit dual media ports with TP/SFP, is a standard switch that meets all IEEE 802.3/u/x/z Gigabit specifications. The PoE-2404 PoE switch can be managed through Ethernet port using Telnet or Web-based management unit, associated with SNMP agent. With the SNMP agent, the network administrator can logon the PoE switch to monitor, configure and control each port's activity in a friendly way. The overall network management is enhanced and the network efficiency is also improved to accommodate high bandwidth applications. In addition, the PoE switch features comprehensive and useful function such as QoS (Quality of Service), Spanning Tree, VLAN, Port Trunking, Bandwidth Control, Port Security, SNMP/RMON and IGMP Snooping capability via the intelligent software. 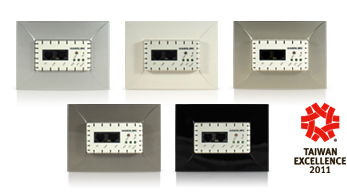 It is suitable for both metro-LAN and hotel application. 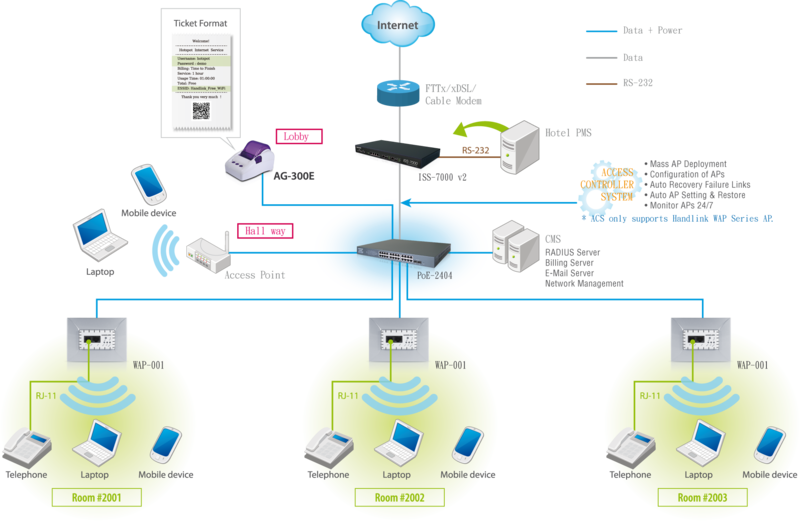 The PoE-2404 PoE switch can work with hotel CMS (RADIUS server, billing server, E-mail server and network), ISS-6000/ISS-7000 Internet Subscriber Server and WAP-001 In Wall Access Point that provides the total solution of hotel Internet access and billing service. Support static port trunking and port trunking with IEEE 802.3ad LACP.